Number of tourists visiting Israel in 2018 soars by 14% of previous year, hitting all-time record. On Sunday, Tourism Minister Yariv Levin summed up Israel’s tourism year, during which 4 million tourists arrived in Israel. “The year 2018 broke historical records reaching more than 4.12 million tourists who arrived in Israel. We are breaking records in tourism entry. This achievement is a direct result of the intensive work we are doing at the Tourism Ministry. 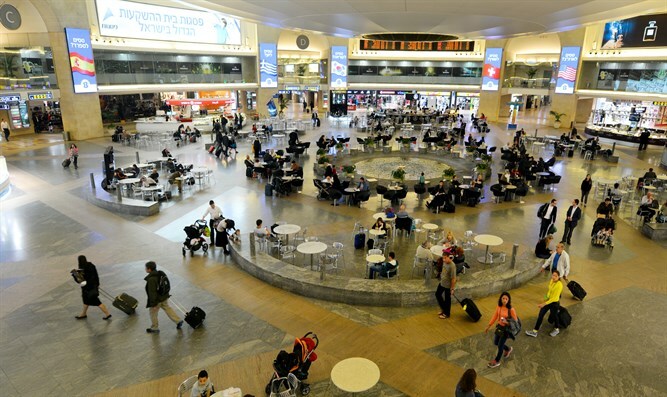 The record was followed by a revolutionary change in Israel’s marketing through development of infrastructure, opening airports from new destinations to Israel and creating cooperation with the largest tourist agents. Tourism coming to Israel has an extensive economic contribution, as well as an important marketing contribution,” Levine said. According to the data, in December, 325,600 tourists entered Israel – an 12% increase compared to December 2017. A total of 4.1 million tourists entered Israel 2018, a 14% increase compared to the year before. Total tourist income in December is estimated at NIS 1.7 billion. The last tourist to enter Israel in 2018 was a 70-year-old Chilean who came to visit Israel with his 64-year-old wife, making her the first tourist of 2019. By air, there were 288,100 tourists coming into the country, a 12.7% increase compared to December 2017. And a 30% increase compared to December 2016. By land, 37,400 tourists entered Israel, an 8.4% increase compared to December 2017 and a 38.5% increase compared to December 2016. In December 26.2 thousand visitors entered Israel, compared to 18,300 in December of last year, a 42.8% increase in December 2017 and a 55.6% compared to December 2016. In 2018, a total of 4.12 million tourists entered Israel, a 14% increase compared to 2017 and a 42% increase from 2016. The total revenue from tourists for 2018 is estimated at approximately NIS 22 billion (about $5.8 billion).